The VP4560 stopwatch presenter offers up to 70 feet of wireless fredome in presentation controls for Windows and Mac. 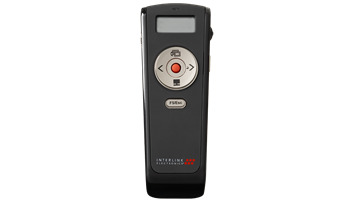 The integrated stopwatch with LCD display enables on time presentation all the time. Featureing a scroll wheel for long document maneuver, laser pointer and receiver dongle storage, the VP4560 offers great ease-of-use for all levels of users.